The site is located in Varna, bul.Slivnitca. The apartment had been recently bought and the new owner decided to renovate it. 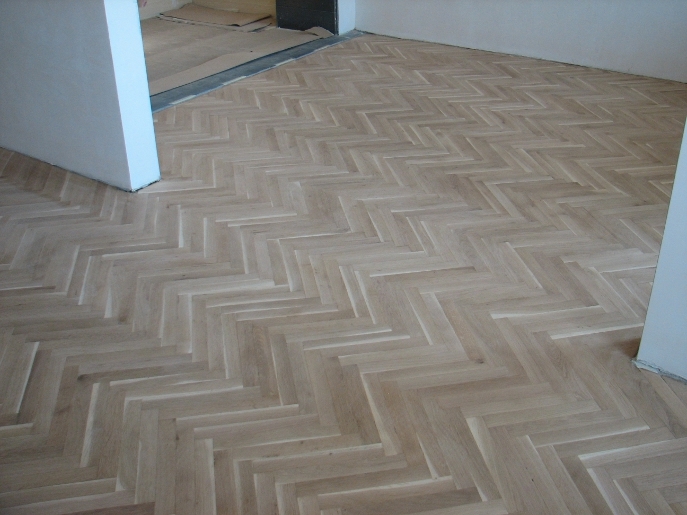 The floor was in terrible condition with around 90% of the finish worn away, heavily discolored from the constant use of water and damaged due to all of the recent renovation. 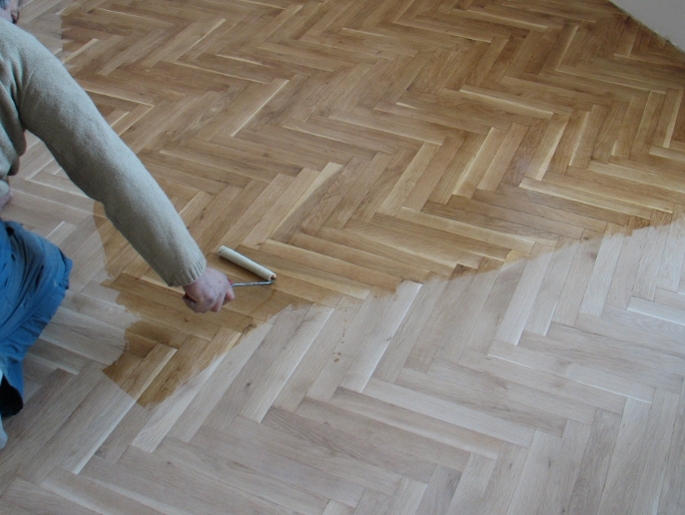 The wood hadn’t been sanded for over 30 years. 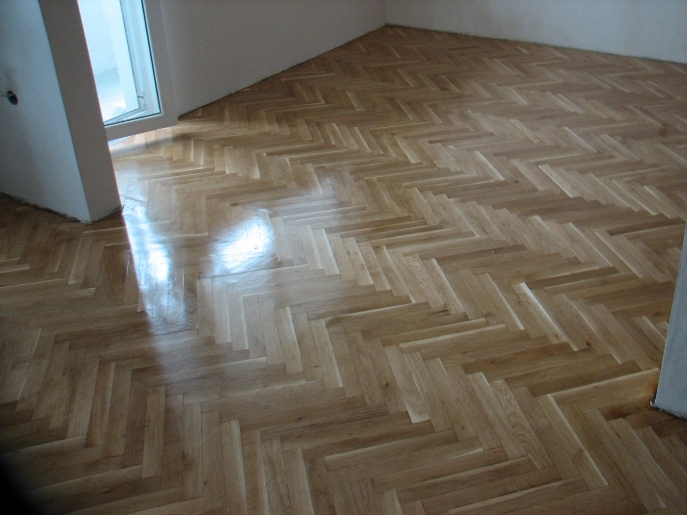 Never let you hardwood floor reach this stage. 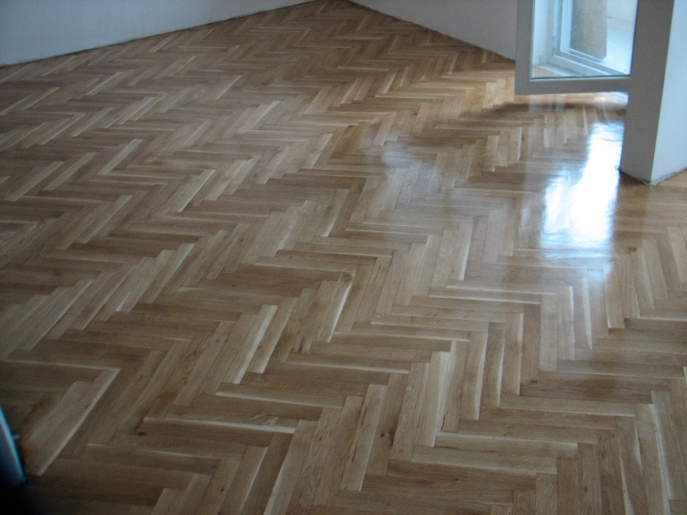 Do not allow the finish to get scrubbed off and water to start sinking into the wood. This can lead to irreversible damage. 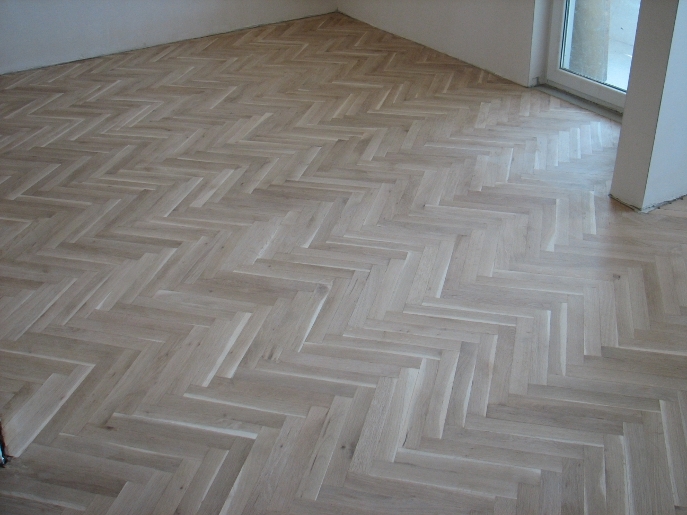 Another problem we encountered was the finish in one of the rooms which was the wrong kind. During sanding it crushed and stuck to the sanding paper. 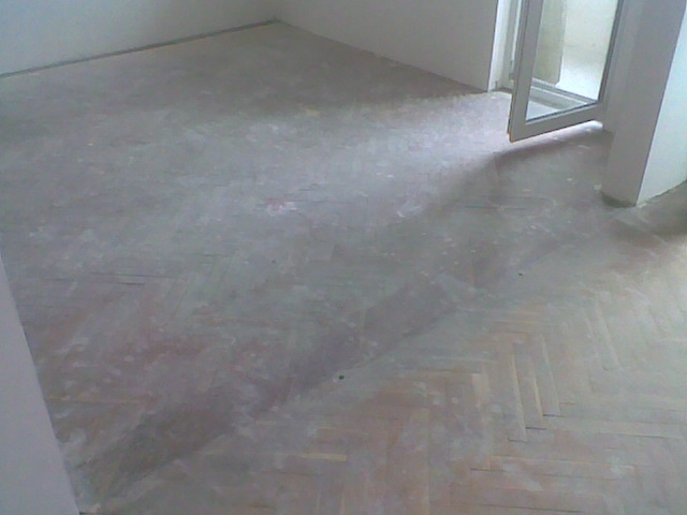 Sanding was done in several stages. Initially with large grit sandpaper in order to clear the remaining finish, then came the actual sanding which was done with different types of sandpaper, filling the holes with a special mixture, re-sanding it again, and polishing once more. 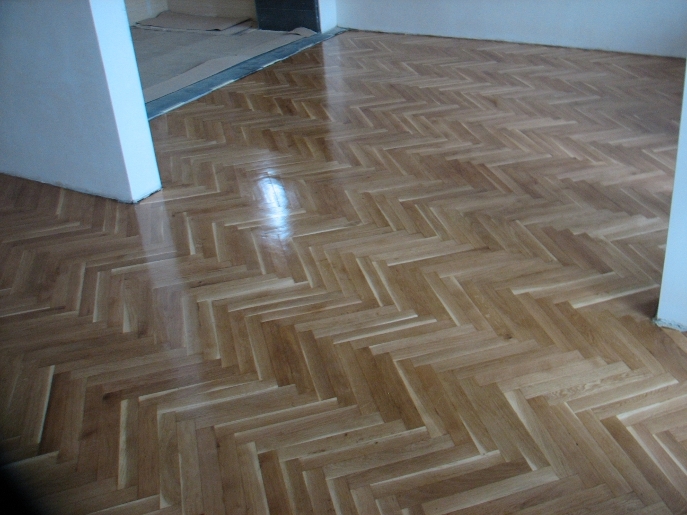 After fixing the door and when the paint had dried, the floor was polished for the third and final time. 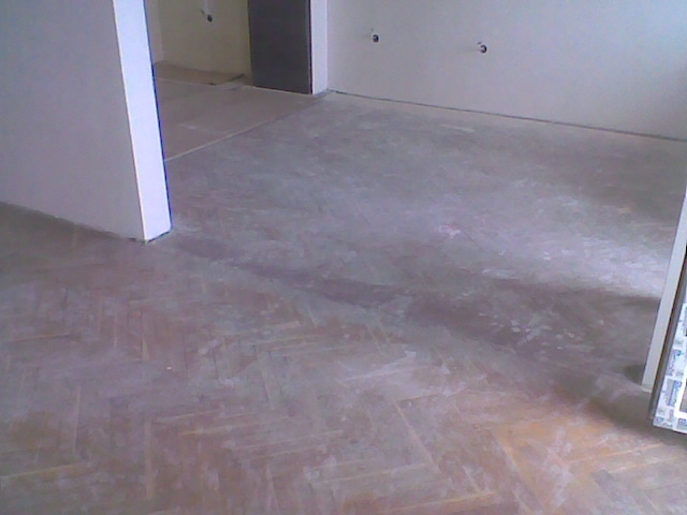 In the other two rooms we installed new flooring and removed the old cork base as well as fixed the stucco.